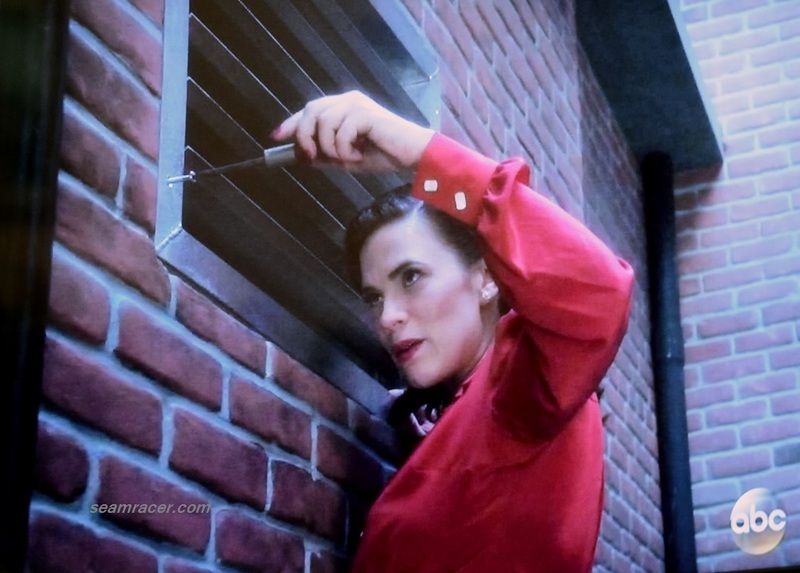 Winter skies here can be so blasé and I am not at all afraid to use bold color in my choice of sewing plans to counter attack that! 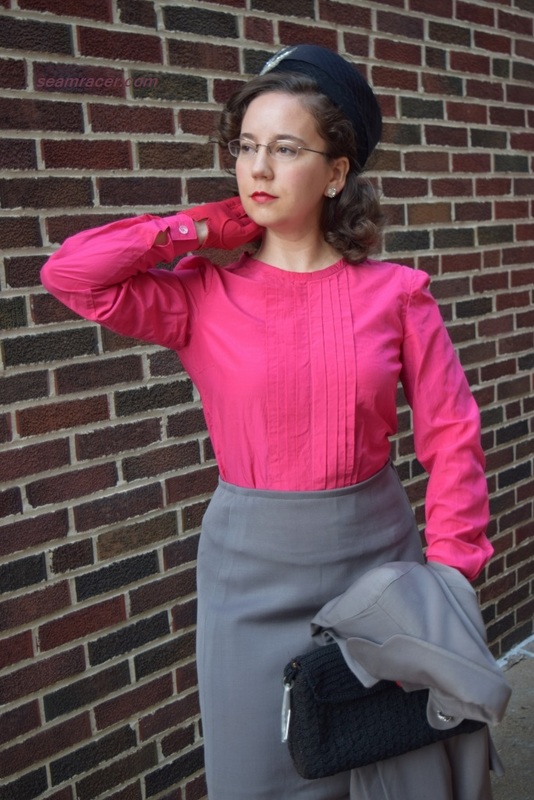 This post will try to be short and sweet about a not so simple 1940s blouse I made to complete a recently acquired vintage suit set of the same era. This blouse proves that mantra, “If at first you don’t succeed, try, try again!” to be very true and not just words. 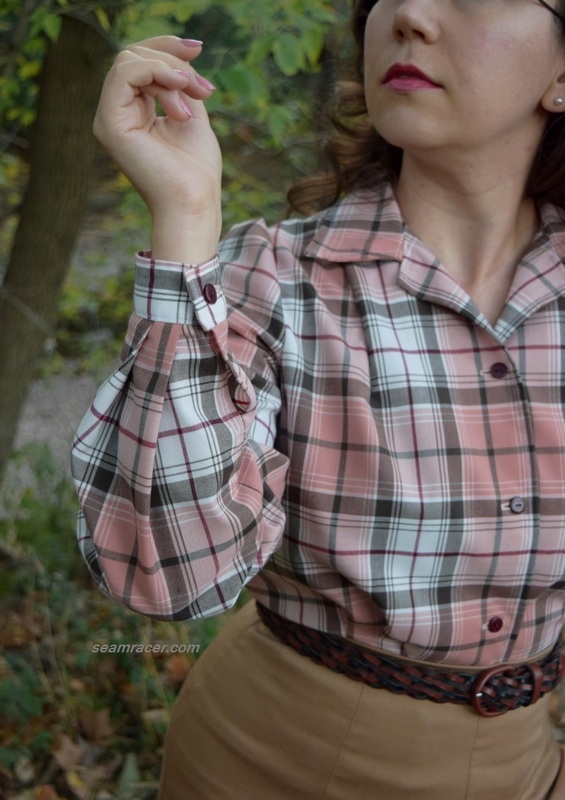 I indeed had to struggle to have this blouse turn out successfully and am so glad I persevered for this gem of a garment! I will confess that I now have a hopeless taste for silk and silk blends recently. A fine silk cotton is my especial combination of fascination – it can come in so many finishes, levels of opacity and crispness, besides the myriad of colors available. Add that to its relative affordability, it is a no-brainer to choose for blouses. Find some for yourself and you’ll thank me later. Just don’t go and buy it all, now! 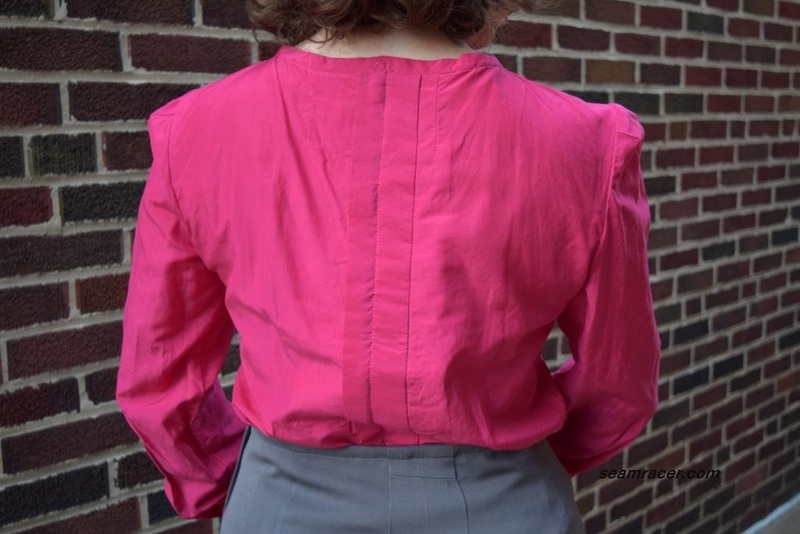 If I let myself get technical, I would guiltily admit that I am mislabeling this blouse because if you go by the book “a tuck is stitched down, a pleat is not”. 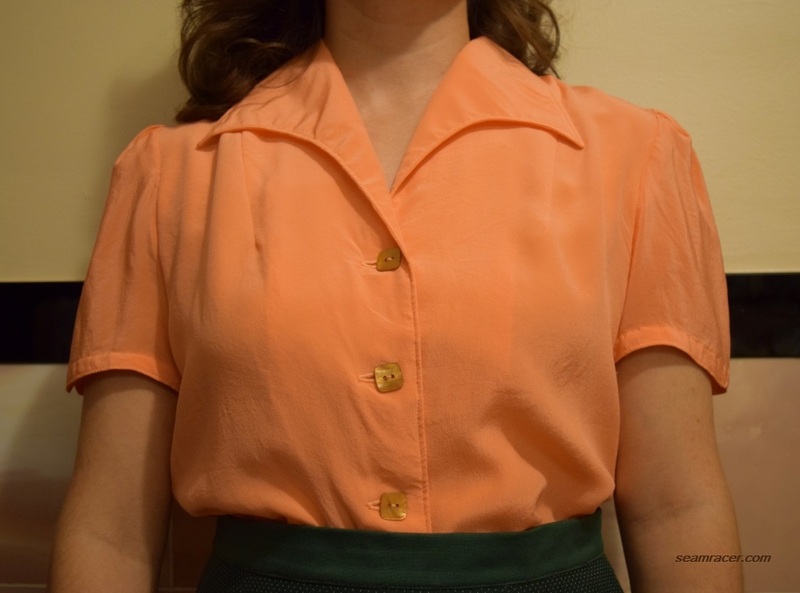 So this is a tucked front blouse whose detailing is made to look like what we conventionally think of as pleats. There I said it – I’m admittedly wrong. 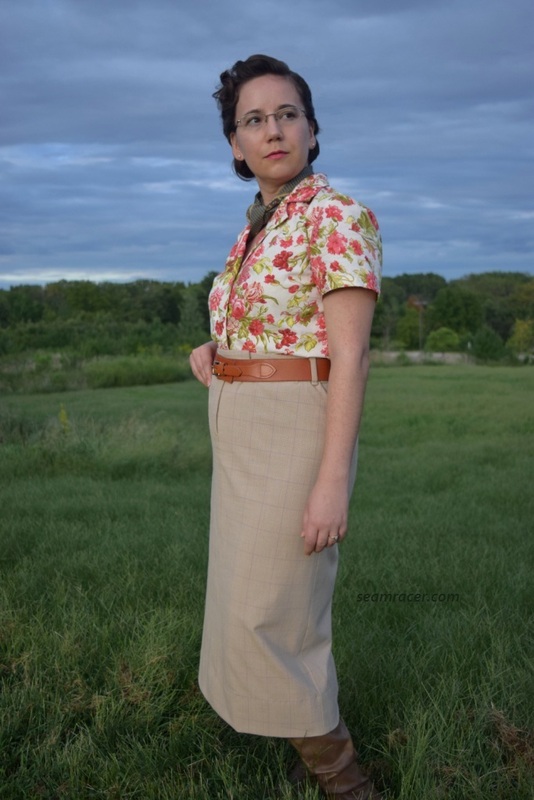 Nevertheless, tucks and pleats are frequent and lovely details on vintage blouse designs, and are a fun and relatively easy way to have a blouse that’s a complex, standout piece. Tucks and pleats are just about cleverly manipulating folds of fabric after all. TIME TO COMPLETE: This blouse was finished on November 20, 2017 after maybe 20 plus hours invested in it. 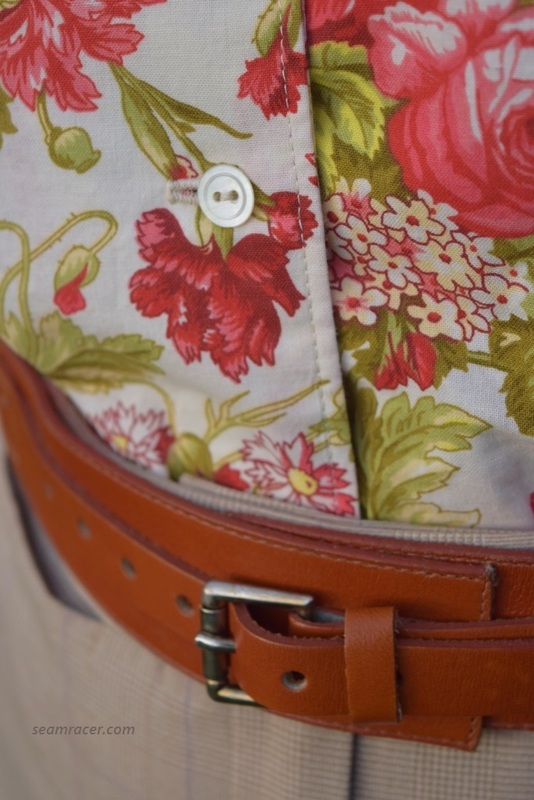 THE INSIDES: So nice I’m tempted to wear the blouse inside out…well, almost! 100% French seams. TOTAL COST: I ordered this from a seller on Etsy than imports in from Hong Kong so it’s at a discount. Two yards cost me only $14 including shipping. 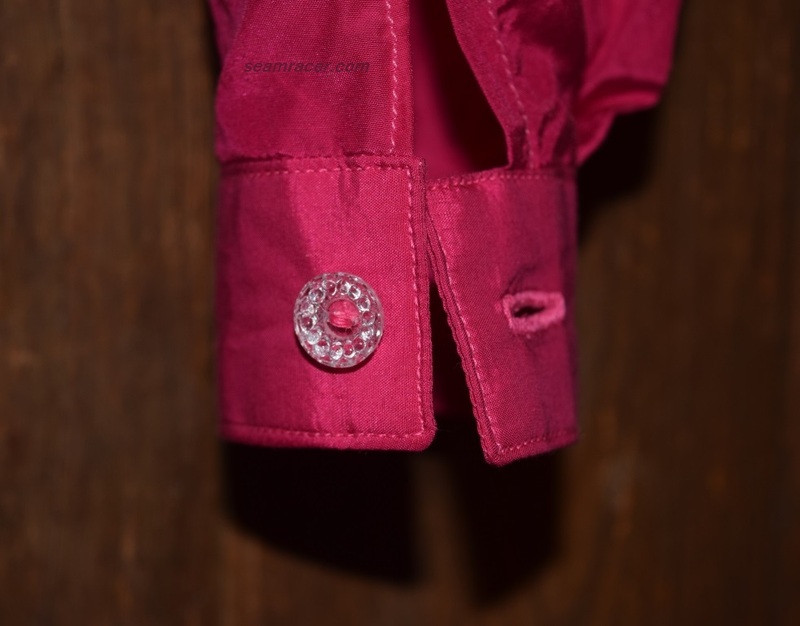 Now, before I get into the details of the blouse, let me gush over the suit details. From what I have seen in my research, I can date this suit with relative certainty to circa year 1946. It could be as early as year 1944, but not much later than 1947. They just do not make suits remotely close to the level of quality and beauty as they did in the past. This wool, though it is plain grey, has a satin sheen in varying colors that is simply breathtaking. Pictures just cannot capture that shine, neither can they convey the substantial thickness of the wool and the crepe lining inside. These kinds of fabrics sadly are not to be found anymore. This wool is almost like a felt in plushness, and with the lining and complicated, impeccable structuring I can feel is going on inside, this is more like a jacket than just a suit jacket. 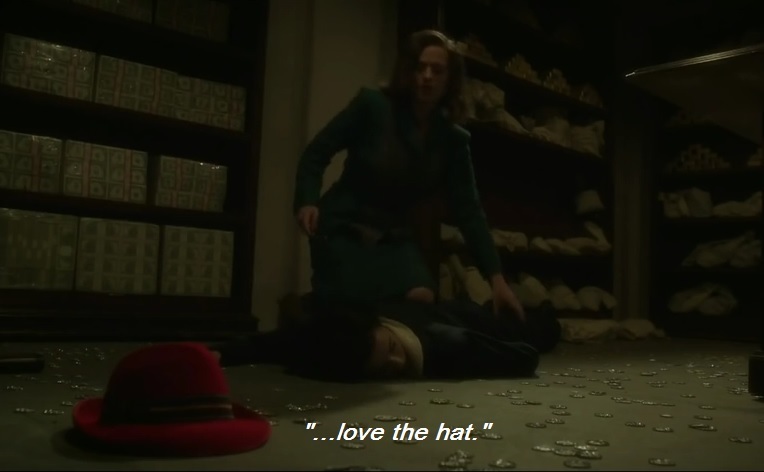 If you haven’t ever felt what a 1940’s quality suit is like, you need to experience it. Put it on your bucket list! These garments are truly transforming when you put them on. They make you feel like the best darn good version of yourself you never knew existed. 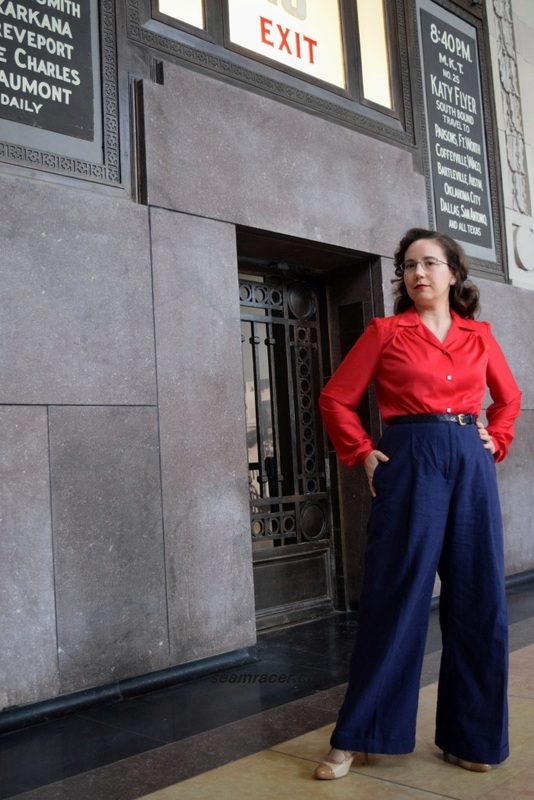 I feel like I can tackle anything in a killer vintage suit – they’re empowering. The trick is to take your measurements, know what garment measurements would work well for you, and then wait and check around to find the one that “suits” you! 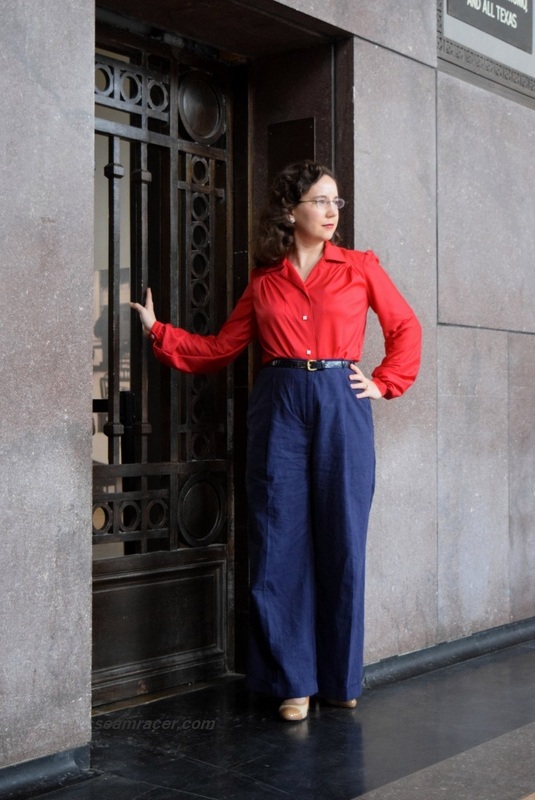 More often than not, unless you are willing to make a larger monetary investment, a vintage suit will need some upkeep and TLC, with many even missing their matching skirt. 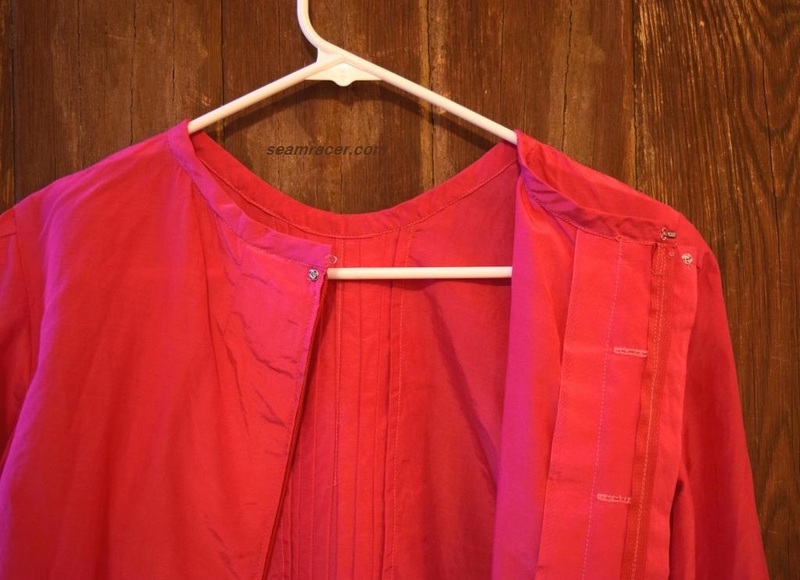 This jacket needed its buttons tacked on and some popped seams closed up, but these are the most common repairs with vintage pieces as cotton thread was frequently used back then and is to the point of disintegrating by now. Luckily, I had a matching skirt, only it didn’t fit me very well, not like the suit jacket did. 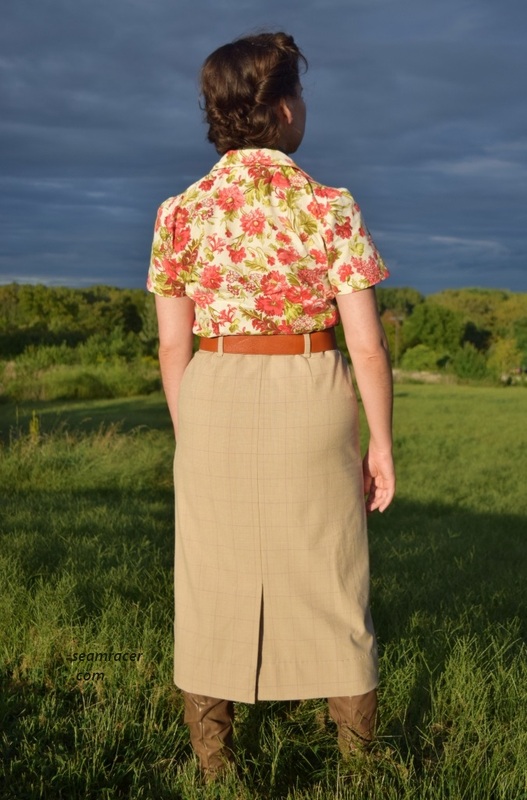 Since someone had obviously tinkered with the skirt before I received it, adding modern-style repairs I wasn’t happy with, I didn’t feel too bad when I refashioned it so I could wear it. The waistband was unpicked and removed to make a center back panel that gave me about 3 inches more of booty room and better, curved shaping around the waistline. To finish the waist, I turned under the edge in simple bias tape. Without the waistband, the skirt does have the tendency to droop now, but at least it is more wearable for me and I was able to fix it using all of the same original material! 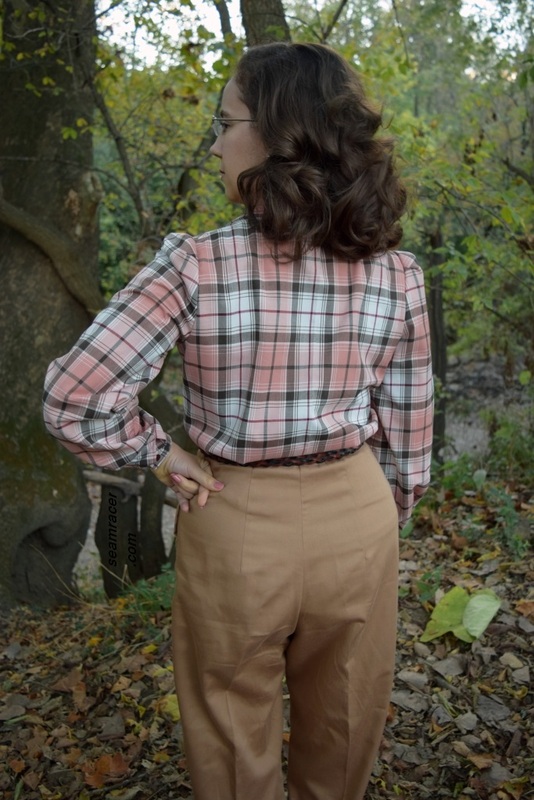 With all the effort I put into bringing this vintage suit set up to snuff, I felt that a more detailed and complex blouse was especially worth it here. Don’t get me wrong – anything anyone makes for oneself is ‘worth it’. I just mean that a rich looking, detailed blouse that might take more time than my normal project would justly give my suit set the finishing touch I was seeking to have a full outfit that has a bang! Of course, the right accessories help that, too. My gloves, handbag, and hat are all true vintage, as well as my Grandmother’s jeweled turtle brooch and earrings set. 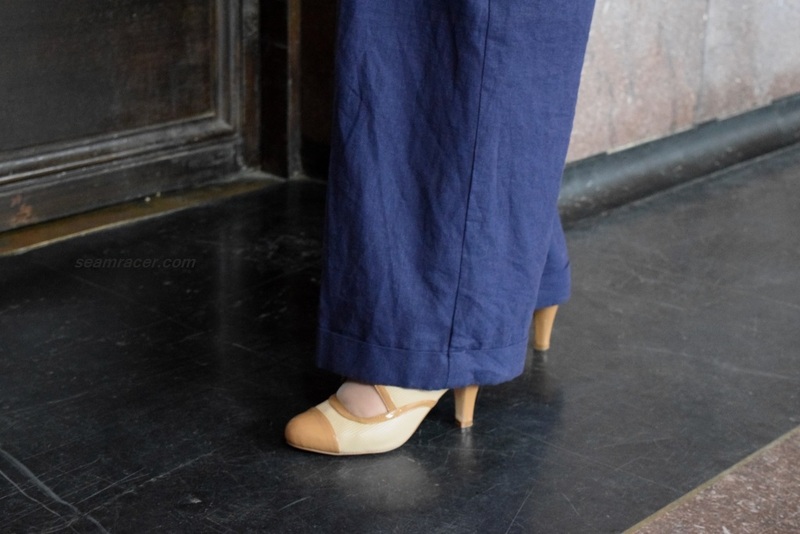 My two-tone spectator pumps are new reproductions from my favorite vintage-style brand, Chelsea Crew. Finally, to the blouse! Not that I don’t have blouses already that work with this suit – of course, white and black tops match here, primarily because of the buttons. But that is so boring and predictable. 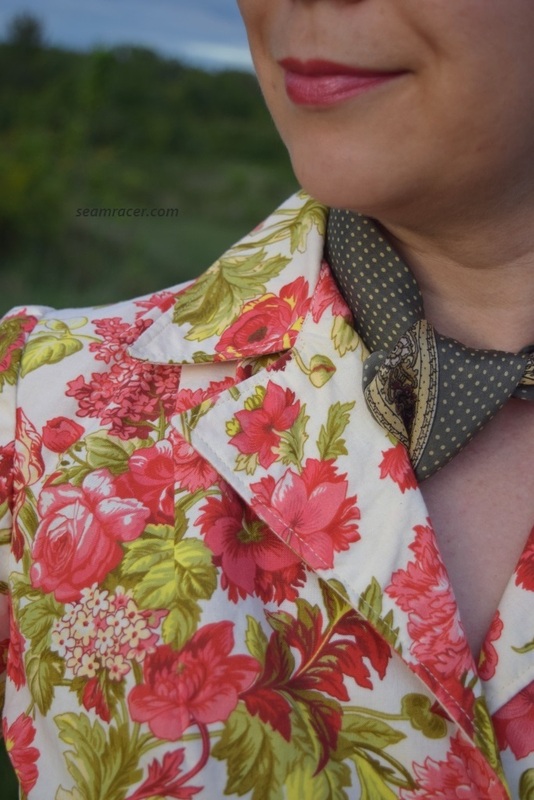 Blouses with collars distracted away from the lovey curved collar (and matching pocket flaps!) on the suit. 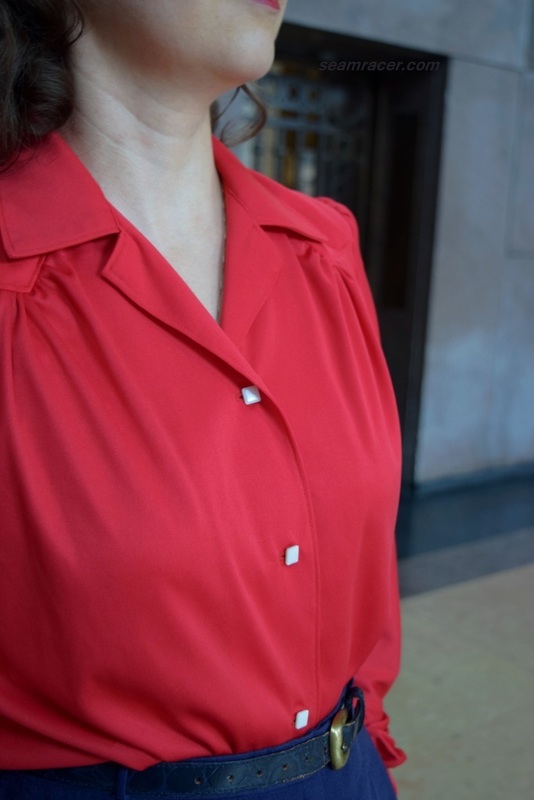 My oldie-but-goodie 40’s basic round neck satin blouse works nicely under the suit, so for my new shirt I reached for a rounded neck blouse with interest down the front that would peek out. 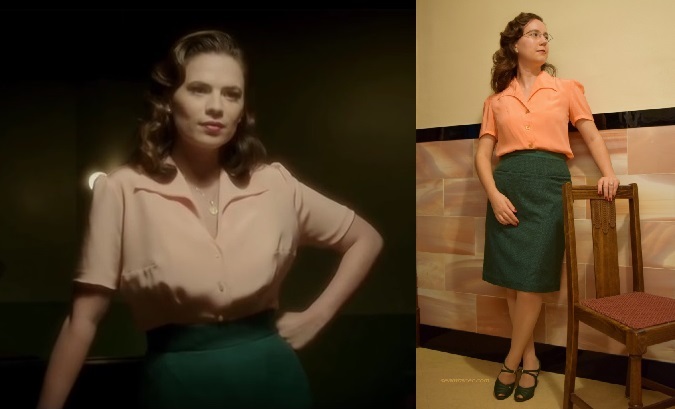 I have been wanting to use this Hollywood blouse pattern that I have had for years! 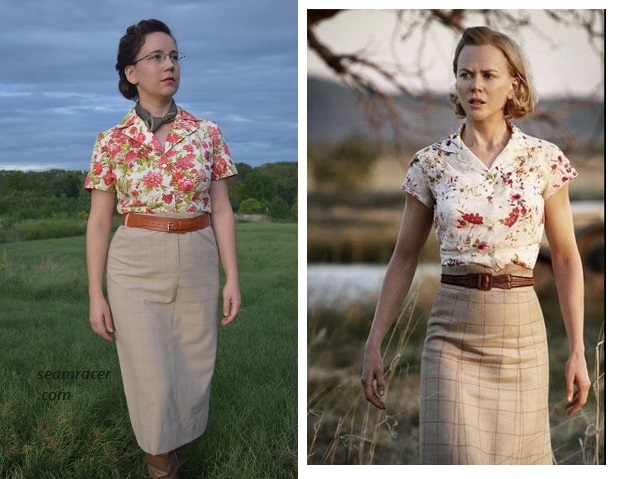 Ever since I saw Emileigh of “Flashback Summer” blog make a Maasai-inspired version for herself using this pattern it has been higher in my sewing project queue. I had a feeling that a solid color would be the best way to show off the detailing, and I think I was right. Only, I was wrong when it came to estimating the sizing. This pattern ran really small! It was weird. 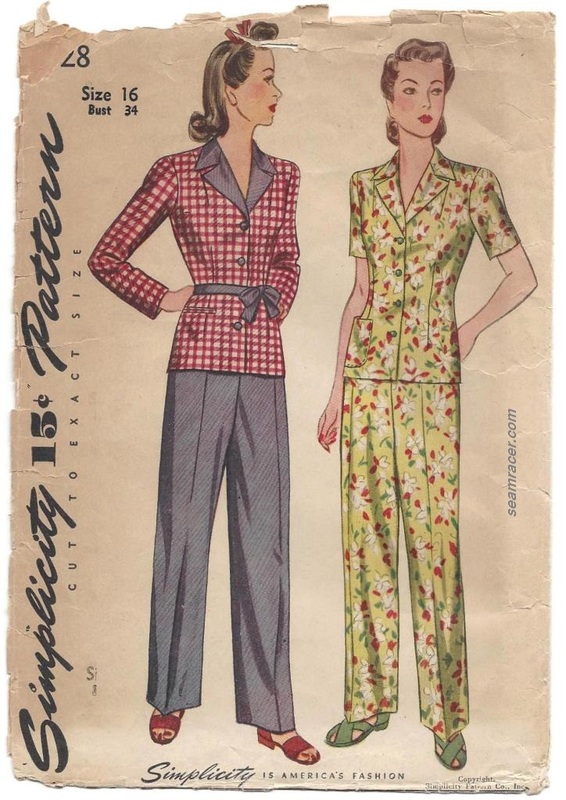 Emileigh had said that she felt her pattern ran large, and I have made another Hollywood pattern from 1943, the same year, that ran true to size, as well as one which ran very large from the next year. 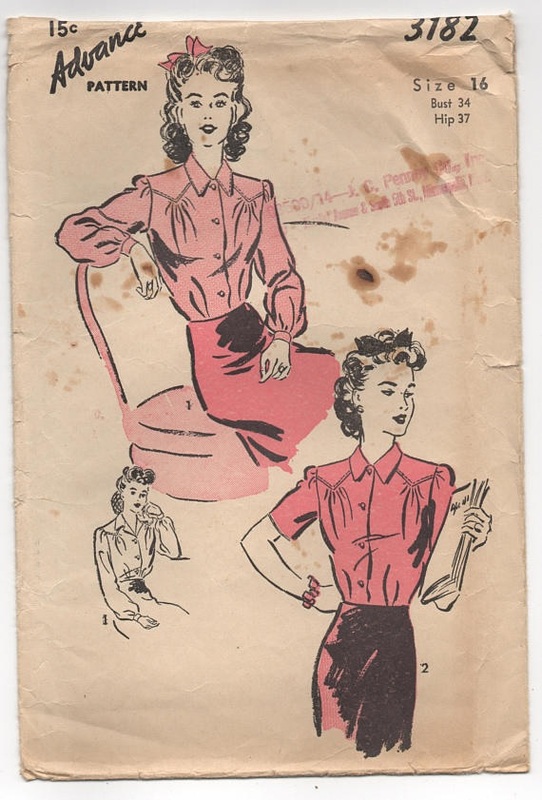 It’s not that this pleated blouse pattern had weird proportions, for all the pieces were nicely marked and fit together well. It was just all over small. 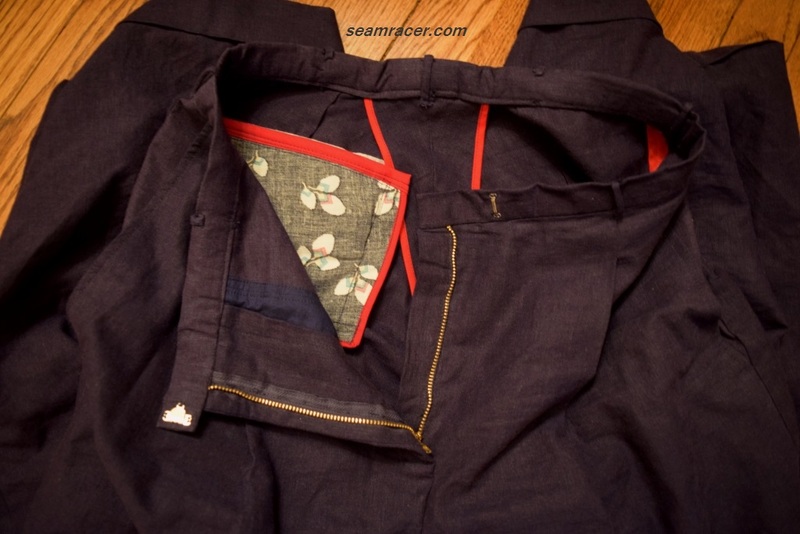 Luckily, when I graded the pattern up to my size, I gave myself and extra ½ inch or so just to be on the safe side so I had just enough bonus so that that a small change could fix things. More on that change in a minute! The only thing I can think is that this was an anomaly rising from the combo of an unprinted pattern and an off-brand company (meaning something other than the “Big Four”, Simplicity, McCall, Butterick, Vogue). 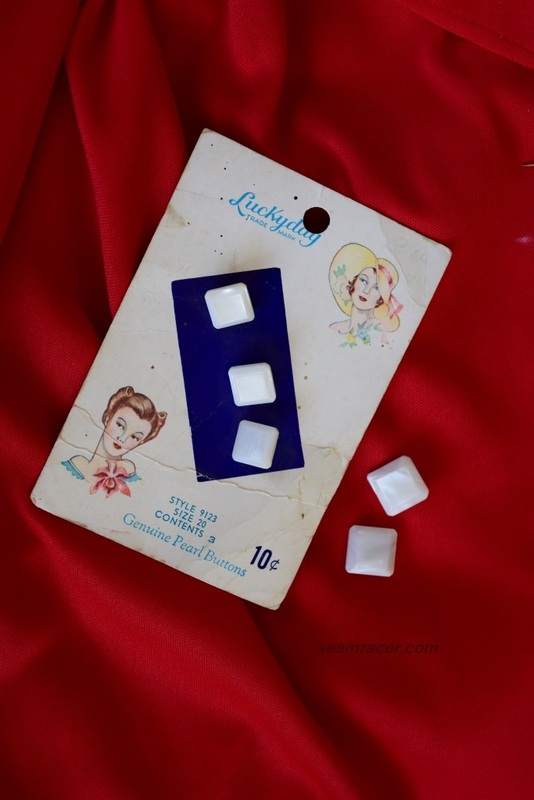 Many times unprinted patterns are less reliable in accuracy than printed ones due to how they were made in stacks of hundreds of sheets at a time, die-cast stamped with their balance marks and darts. 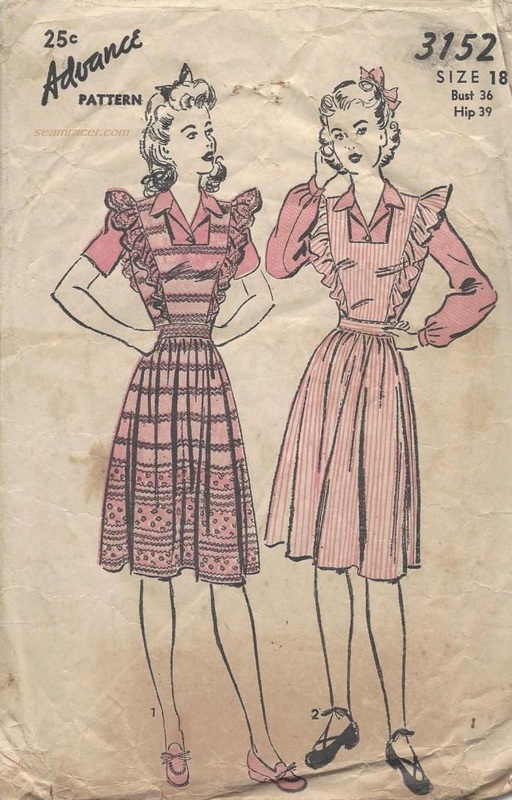 Also, out of all the vintage patterns I’ve worked with, I do find unpredictable sizing almost always in brand patterns like Du Barry, Hollywood, mail order, and even Advance. You start with the front, which is in three panels – one side front on the left and right of the center panel that gets pleated. 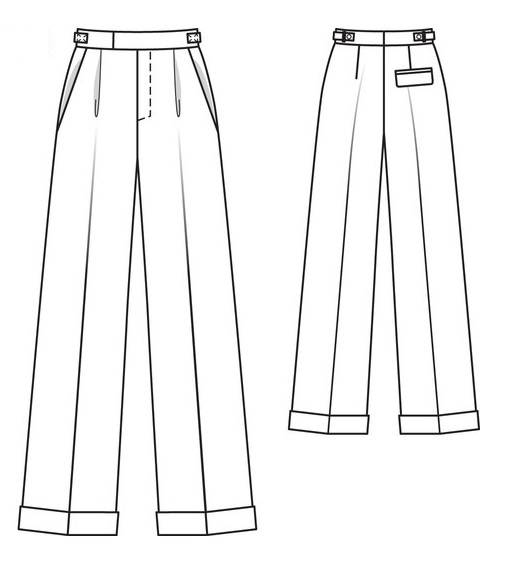 Except for the center where they spread out towards the shoulders, the pleats are in “blind tuck” style, which has folds that meet each other so no stitching shows. 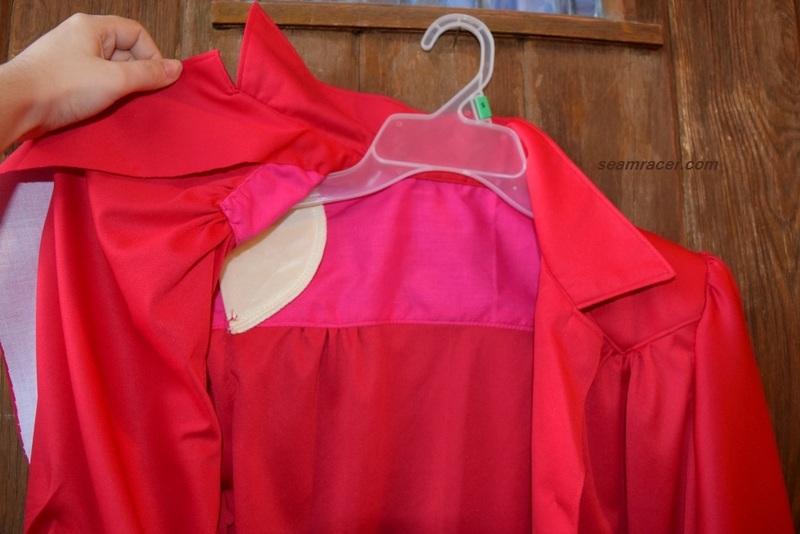 Then I made all bodice darts, sewed the back panels on, and inserted the sleeves. Sounds easy, right? 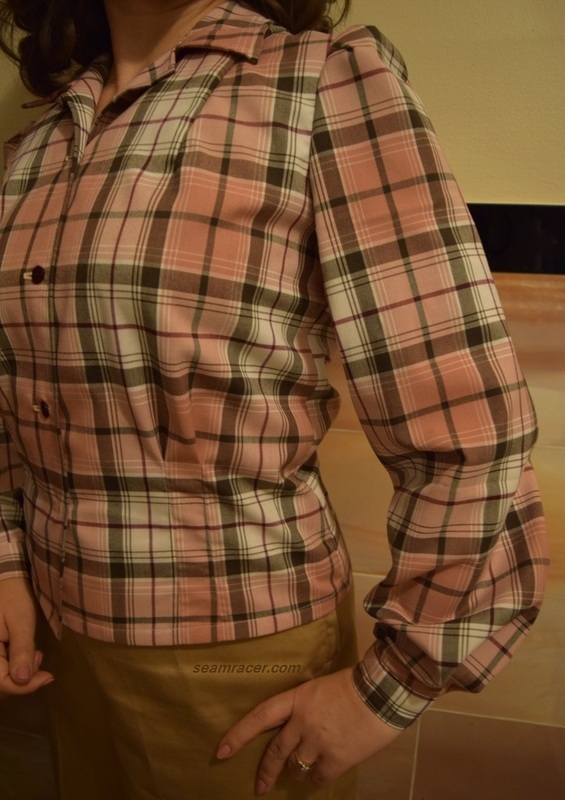 Well, I adapted the sleeve fullness to be pleats rather than gathers as the pattern intended. It was tricky to get the sleeves looking even and exact together when I was free handing the detailing. 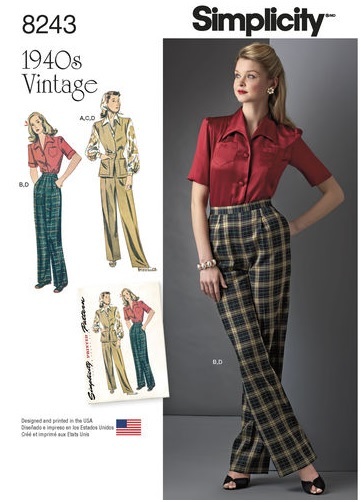 I wanted the pleats on the sleeves to match the trim darts on the sleeve caps and the pleats on the body of the blouse. That done, then I realized that the neckline add-on piece would make the blouse so high necked I might as well choke myself with it. No, I was leaving the round neck panel off. So I took what little material I had left and made bias tape facing to cleanly finish off the neckline at the level it was at. 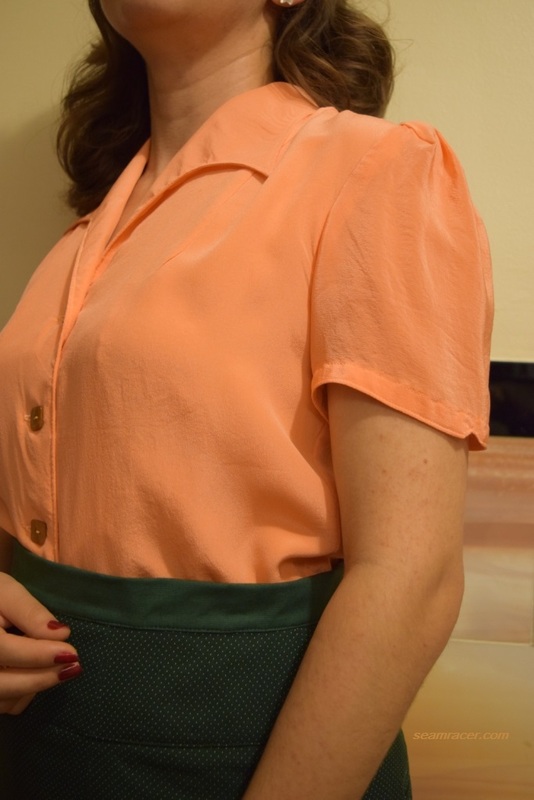 While I was at it, I then also made a bit more bias tape to cleanly hem the bottom of the blouse, too. I tried it on without the back closing, and realized the bust darts needed to be re-stitched about one inch lower. 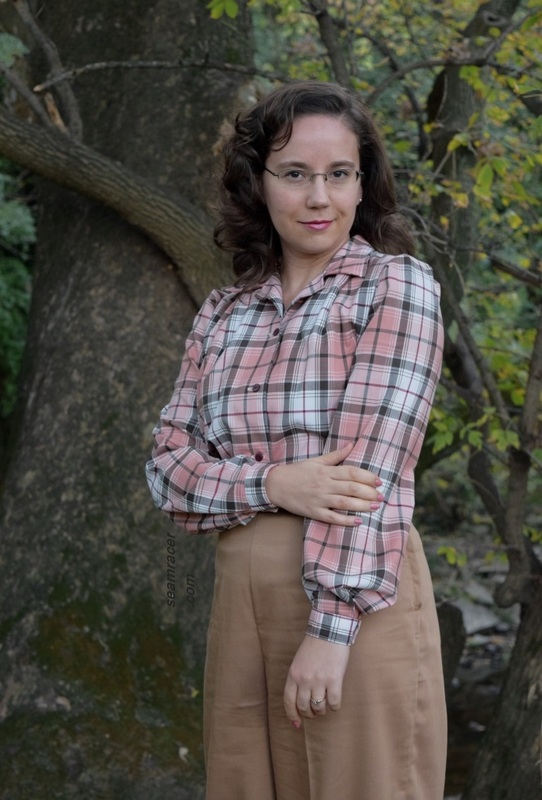 With that fixed, the blouse seemed to fit great, so I finished it by stitching in all the buttonholes and buttons in the sleeves and bodice back. Here came the problem. 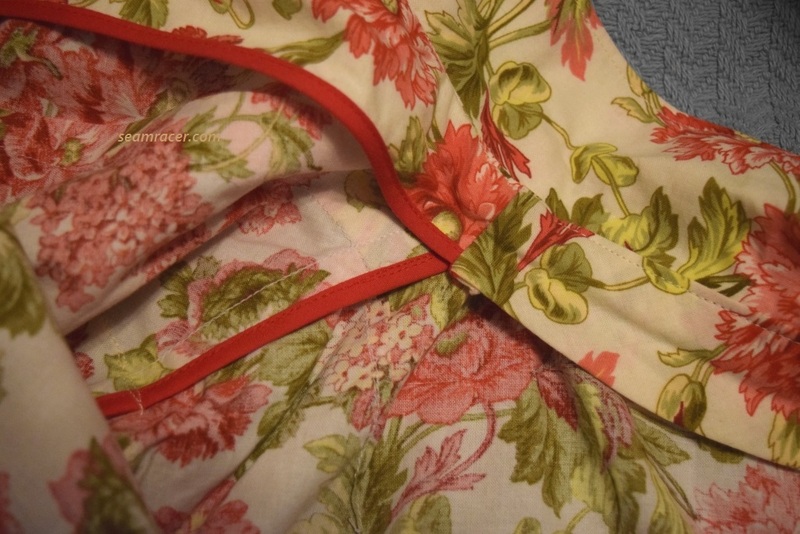 The blouse was not all that small of a fit in itself if I just stood with my arms to the side, but add in the back buttons and that was a difficulty. 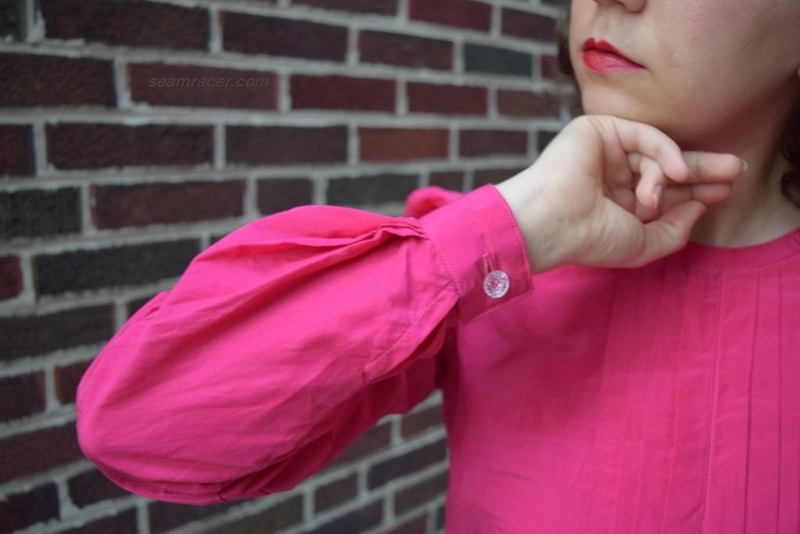 I found it almost impossible to button the blouse closed on myself, with not enough extra ease room. 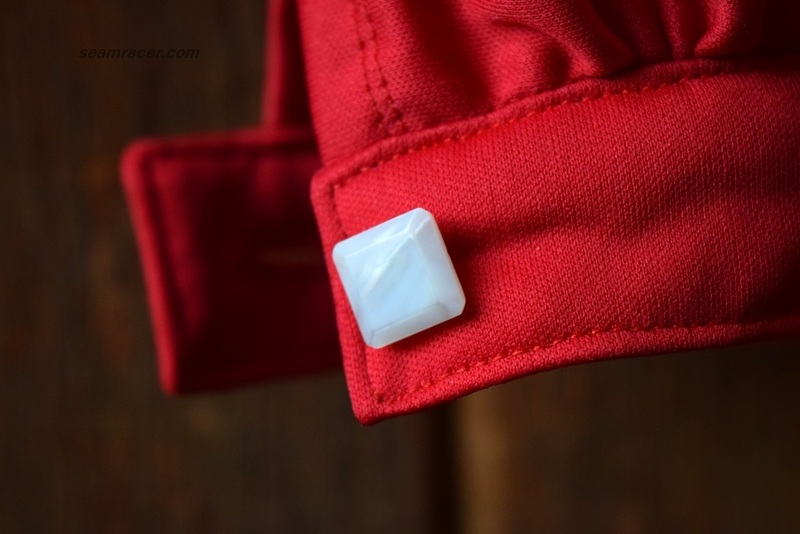 Once I did finally do that feat, I saw that when I reached out, the stress on the buttons was making me scared the delicate fabric might possibly rip. Stitched on and already cut through buttonholes are non-reversible, so I thought, “Why not cover up the buttonholes (my only real option anyway) and add a pleated panel down the back to also cover up a zippered closure?” This way the back of the blouse compliments the front and now has equally lovely interest, besides that fact that a separating zipper is so much easier to do blind reaching from behind and much stronger than four buttons could be. 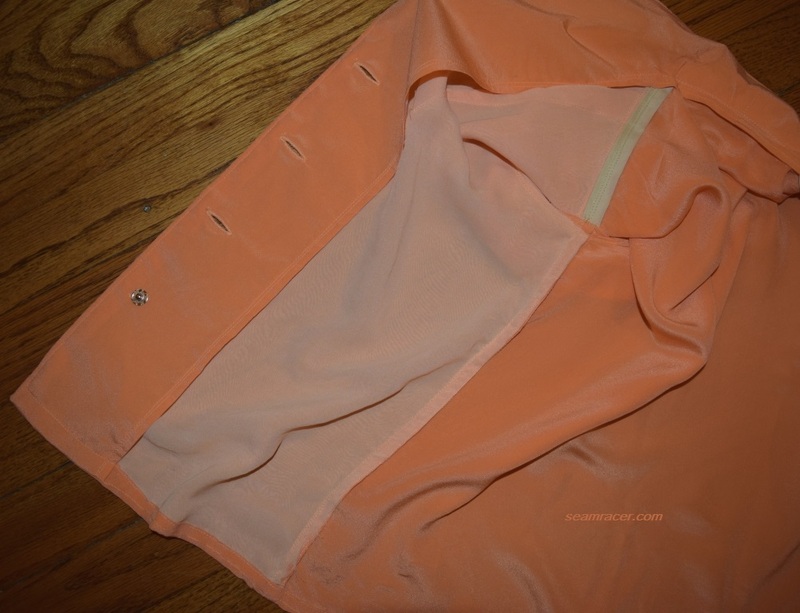 Adding the panel with the zipper technically gave me one whole extra inch of space across the back, making my blouse fit me so much better overall. A crisis was averted that night, and I actually like my method of covering up a sewing “failure” much better than if everything had gone according to plan. Mistakes are often blessings in disguise, I suppose. 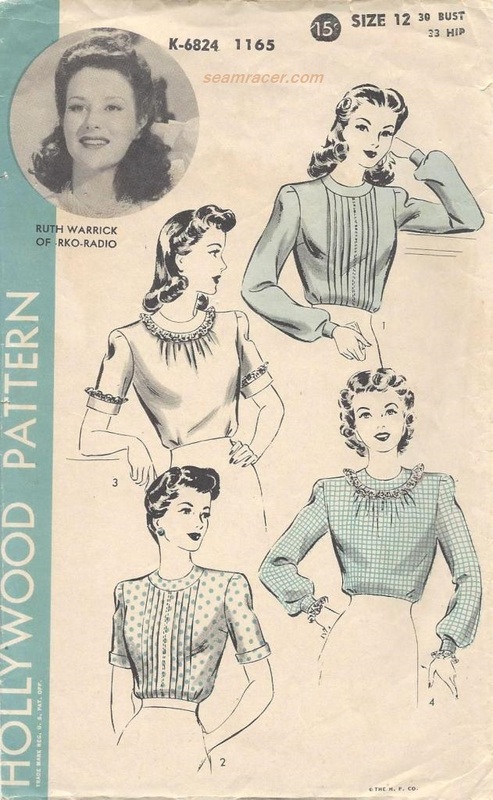 The Hollywood star associated with my blouse’s design, Ruth Warrick, is herself an interesting woman that is not heard about as much as she could, for being in the limelight in as many ways as she was. First of all, she played the character of the actor Orson Welles’ first wife in the famous 1941 movie “Citizen Kane”. She worked with Orson Welles on both the screen and the radio on several occasions because he said he was looking for a woman who “was a lady”, not just someone who could “play a lady”. Mostly she is known for the later career in the television soap dramas. 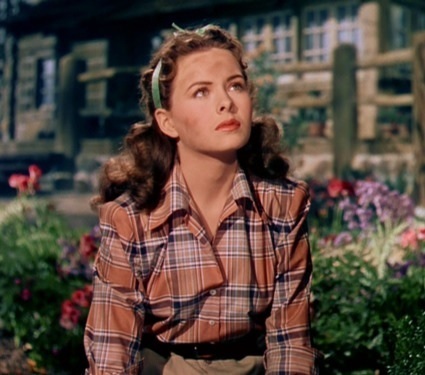 She was in “As the World Turns” for a number of years after the show debuted in 1956, then she moved to “All My Children”, which she was part of from 1970 to 2005. She has bonus points in my book for being a gal from my own state of Missouri! It’s amazing how adding the association of a famous screen star can really add to a pattern’s appeal. 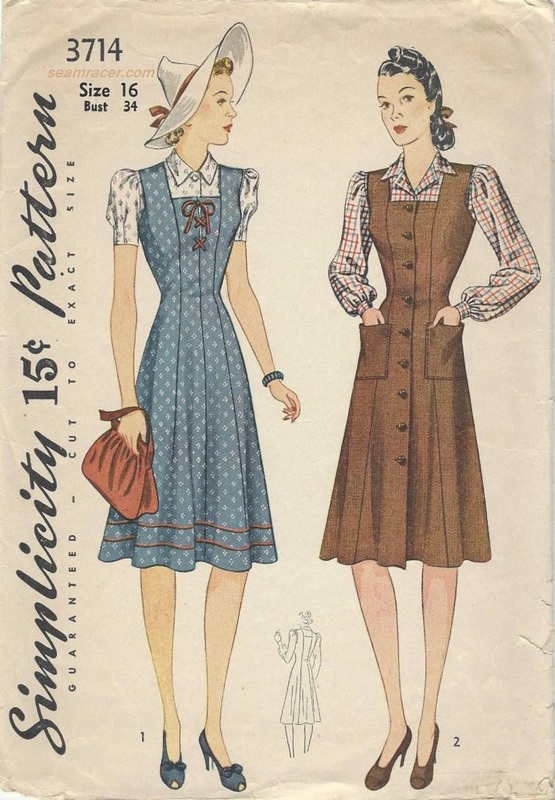 Pattern companies should bring back Hollywood patterns, and I’m not talking about cosplay either. Speaking of Hollywood, this reminds me of a quote of some fashion advice by Joan Crawford, “Find your happiest colors – the ones that make you feel good. Care for your clothes, like the good friends they are!” (Full quote here.) This is good advice for store bought clothes, even more so for things that you have sewn. If you have taken the time to think of it, buy the fabric and work with the pattern, you are worth seeing what you have made be a success and not an unwanted failure. However, Joan Crawford’s quote is especially the case for vintage items. It would be sad if the general interest in fashion from the past also becomes the cause for it to be more scarce and therefore less attainable. I don’t mean to get on a soapbox, but really – it’s kind of like what is said about our environment, we should leave vintage the same or better than how we found it, but never worse off. 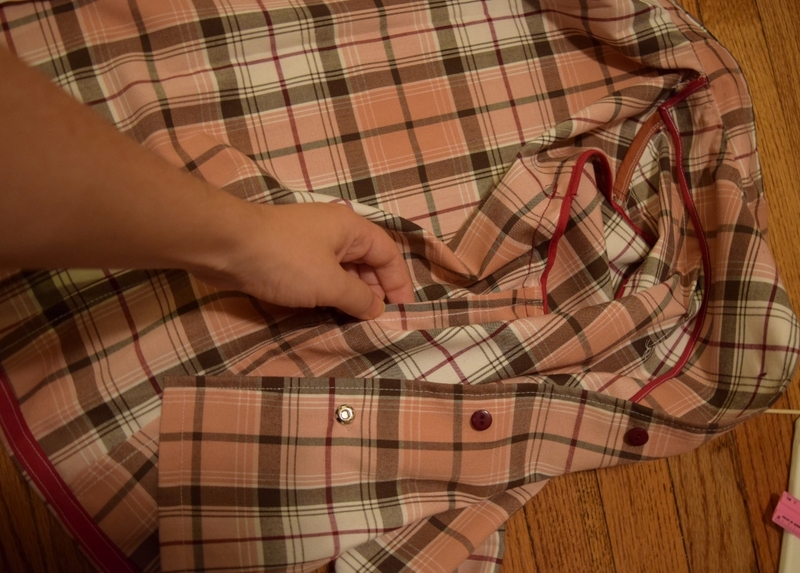 Those who own a garment piece from the past should make sure to wear it only if it fits (as there will be less chance of it tearing irreparably and more chance they will like wearing it), take care of it, and examine, appreciate, and learn from it. Without clothes from the past how will we learn and understand our present and future fashion styles? Anyone who has or does sew vintage and even those who do not should appreciate the value of true authentic pieces in the hands of everyday people. 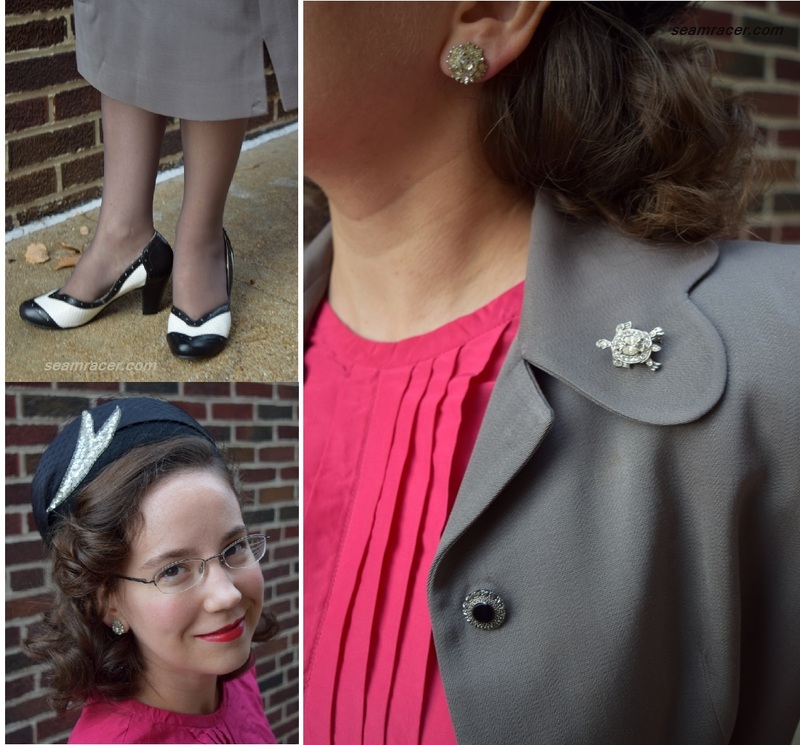 I hope you agree and enjoy what I have done to add value to this 1940’s suit set.